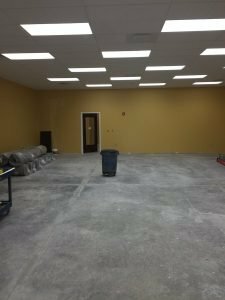 When it comes to painting commercial spaces, LaffCo. Painting has all the tools you need to give every room a unique look. Our most recent commercial painting project in Horsham is proof of that! The LaffCo. team was called out to a brand new, 17,000 square foot space. Two very different businesses will be taking over the area: a dance studio in one room and a child care center in the other. The owner of the dance studio wanted a bright yet professional color on their walls. She selected Classical Gold by Sherwin Williams for the entire studio. Next, the flooring company will stop by and install gorgeous new hardwood floors. We worked with the flooring company on the color choice and stained the doors of the dance studio to match. Once the studio was complete, we moved on to the child care center. The owner asked for a brighter color on her walls, which will soon be covered bright decorations to entertain and educate children. Shoji White by Sherwin Williams was the perfect off-white color to use for this project, and the doors were polyurethaned to give them a clean finish. All it took was the LaffCo. touch to make both of these commercial spaces look unique and beautiful! 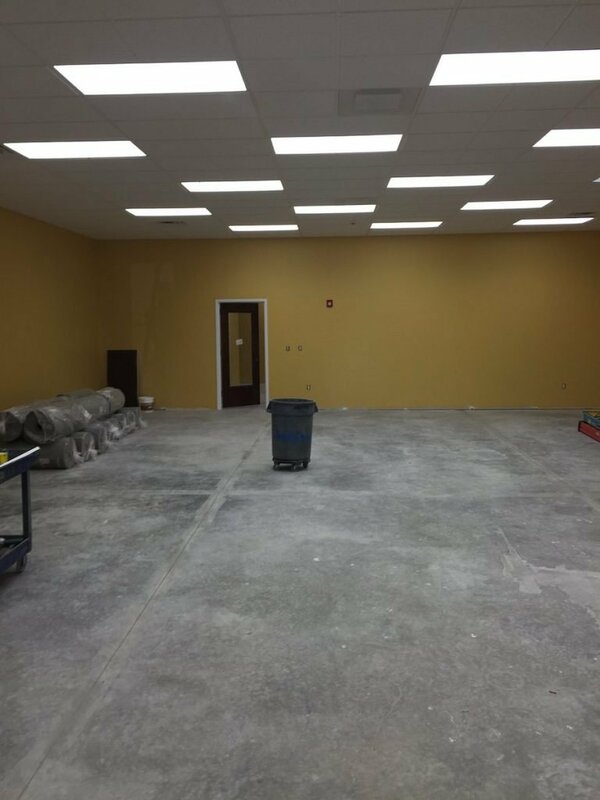 Click here for your free quote on commercial painting by LaffCo. Painting today.